Extremely warm autumn weather has brought a healthy growth for many plants in the garden and citrus is certainly one of them. Most of our citrus trees in the garden have been growing for more than 4 years since the garden was established in 2009. This year they are bearing more juicy fruits than ever including Tahitian limes, lemons and mandarins, and they taste good! 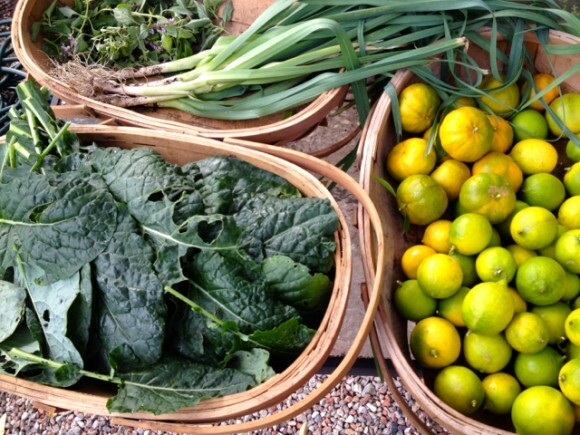 The harvest from last Sunday included the citrus, kale, leeks, lettuce and a variety of herbs. 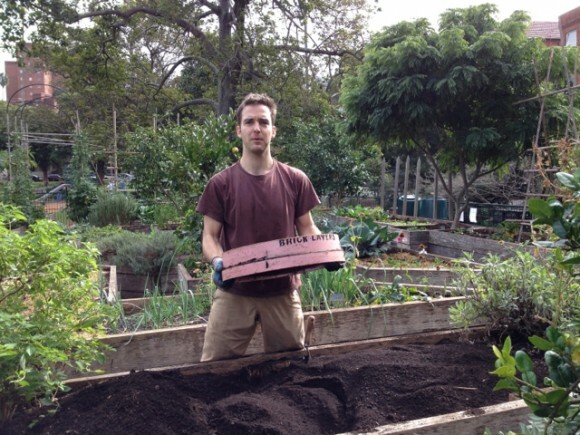 Peter painstakingly sifted the soil to prepare the bed for daikon and carrot planting. They’d better grow straight after such a hard work! 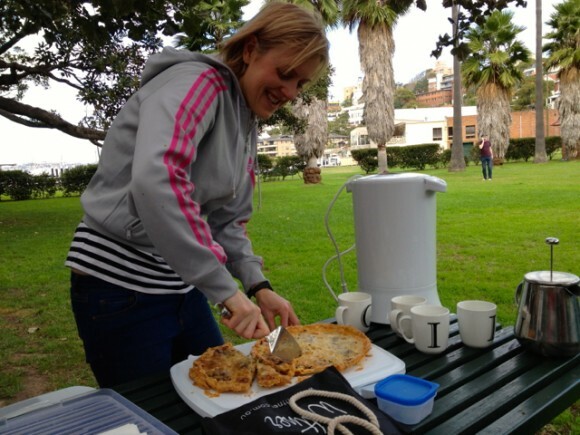 His wife Kate always prepares yummy homemade treats for our tea break and we loved her beautifully baked tarts of Jerusalem artichokes and of leeks and mushrooms! 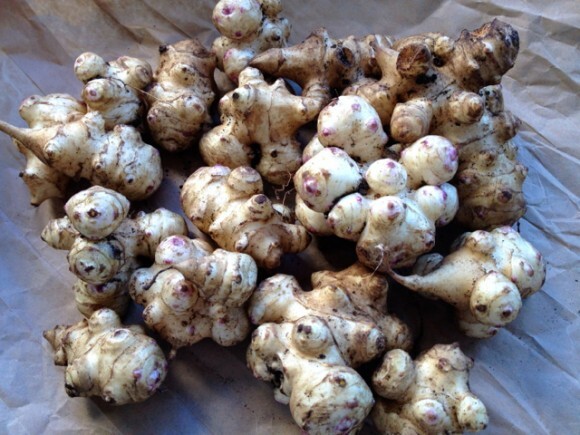 Jerusalem artichokes have been harvested during the month of April and May. 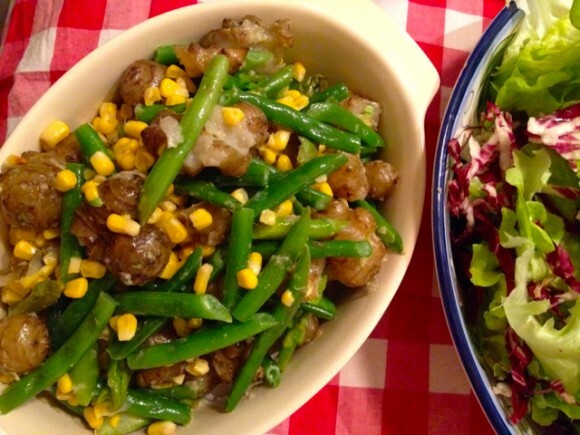 I gave some to my chef friend who then prepared a healthy side dish mixed with beans and sweet corns. I am also keeping enough tubers for the next season’s planting. In two successive seasons this plant with their lovely yellow sunflowers proved so easy to grow in the garden. Local residents Susie and Sandy Lockhart have been kindly donating the weekly worm juice to the garden over the years and we can’t thank them enough for their dedication and commitment. Now they are looking for someone to take over with their worm farm. Susie’s worm farm is undercover. This has been useful in protecting it from extremes of weather, particularly heat. However, many people keep theirs out in the open and have no problems with it. The basic tenets revolve around feeding regularly without overfeeding, avoiding certain foods including protein, bread, and allium vegetables such as onion and garlic, feeding a broad range of vegetable matter, and keeping it moist. If you are interested in this opportunity, please let me know. Thank you for your continued support and interest. Look forward to hearing from you soon. Thank you for your interest. I will get you in touch with Susie the owner of the worm farm for more details. Talk soon.